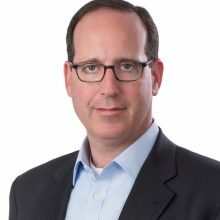 Alan Cohn is of counsel and co-chair of the Blockchain and Cryptocurrency practice at Steptoe & Johnson LLP. He counsels companies on blockchain technology, cybersecurity, cryptocurrency, and government-related issues, with a particular emphasis on regulatory issues and the intersection of blockchain technology with government and national security. Alan also served as counsel to the Blockchain Alliance, a non-profit organization created on behalf of the Chamber of Digital Commerce and Coin Center to provide a forum blockchain and cryptocurrency companies to engage with law enforcement and regulatory agencies. Alan previously served with the U.S. Department of Homeland Security (DHS) for nine years, most recently as the Assistant Secretary for Strategy, Planning, Analysis & Risk. He also serves as an advisor to several blockchain companies, as well as an advisor to investment firms on the application of blockchain technology across a variety of industries. Alan is co-chair of the Global Future Council on Cybersecurity for the World Economic Forum and an adjunct professor at Georgetown University Law Center.